2 What Are the Differences Between Double DIN and Single DIN Head Units? 3 What Are the Benefits of Having an Upgraded Head Unit? 4 What Are the Factors to Consider When Buying a Double DIN Head Unit? Getting a new Double DIN head unit for your vehicle can make it a little more user-friendly, with its offering of a higher level of multi-functionality, as well as the use of several controls and tools in just one screen. There is an increasing number of cars produced with adequate space to install a double DIN head unit and it might be difficult for you to know which one to buy. This post is about everything you need to know before you go and purchase the best double DIN head unit available on the market now. We have provided you our top 6 picks, as well as the different types of head units and the essential factors to look out for when choosing a good double DIN head unit. Read on if you want to know more. Another great product on this list is the Pioneer AVH-4201NEX Double DIN head unit, which comes with a 7-inch WGA touchscreen display. 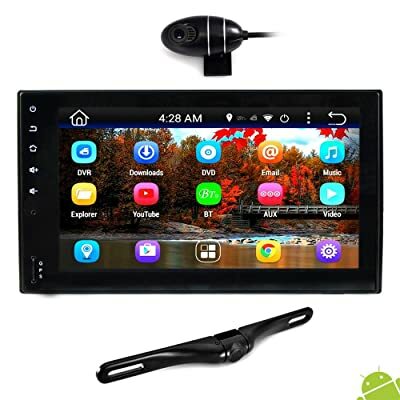 This Double DIN head unit is compatible with Android Auto and Apple Car Play and it features a rearview camera for easy and convenient reversing. Another great feature of the Pioneer AVH-4201NEX is its AM/FM tuner that already comes with 18 FM and 6 AM presets. It also has a built-in HD radio and it is SiriusXM Radio-ready. 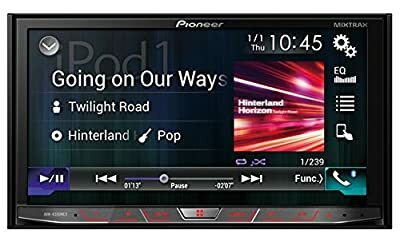 What’s great about this head unit is that it features the Pioneer MixTrax Technology, which creates a non-stop mix of your favorite tracks in your music library. 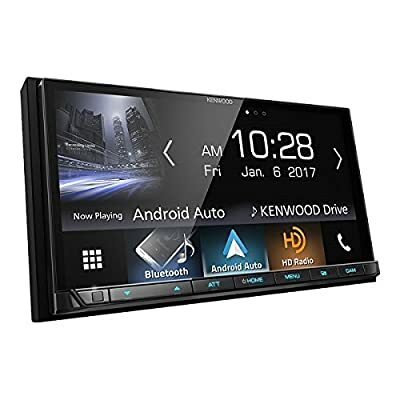 The Kenwood Double DIN head unit comes loaded with awesome features including AM and FM tuner, built-in amplifier, multiple file format playback, 6.95-inch touchscreen display, customizable color key illumination, Android Auto and Apple Car Play compatibility, Bluetooth connectivity, navigation system, and screen mirroring. The Kenwood Double DIN head unit features a 13-band visual equalizer, bass boost, and customizable loudness control. It is also equipped with a dash cam and a rear-view camera. This head unit also allows USB charging and is compatible with audio/video output. The Jensen VX7020 lets you drive with confidence with its auto navigation system, along with its vibrant and easy to comprehend maps. It has a 6.2-inch high-resolution screen that’s will surely take your entertainment a level higher. This Double DIN head unit’s database has 11 million points of interest and has a vocal guide that will help you navigate to your destination with ease. With the Jensen VX7020, you can have access to various music sources, may it be from your iPod, smartphone, CD/DVD player, as well as satellite radios. You can also use streaming apps such as iHeartRadio, Spotify, and Pandora. Not only that, you can fine tune your music with its 10-band customizable equalizers, allowing you to enhance your overall listening experience. You can take HDMI and MHL connectivity to the next level, as it provides full access to your phones for hands-free operation. This Double DIN head unit also offers multiple inputs found in front of the in-dash receiver, letting you connect or charge your phone while driving. Lastly, you are your passengers can enjoy watching movies with its video playback capabilities. The Pyle Premium Double DIN head unit offers both luxury and style, without compromising its features. This dash entertainment system provides digital media support, allowing you to play audio, video, and image files, along with its 16GB storage. It also offers Bluetooth connectivity that lets you wirelessly stream music or take phone calls. This Double DIN head unit also offers a reliable GPS navigation, which you can use with its 6.5-inch touchscreen control interface and turn-by-turn voice assistance. Another great feature of the Pyle head unit is that it comes with a high-quality dash cam, as well as a rear-view camera, in which the output is displayed on the head unit’s screen. Other outstanding features of the Pyle Double DIN head unit include customizable equalizer controls, audio and video output jacks, and Android and iOS support. 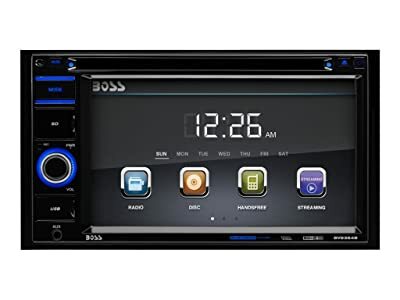 Just under $100, this offering by Boss is a compact and lightweight double DIN head unit that you can fit into the dashboard with ease. It comes with a 6.2 LCD display, making it convenient for you to access all the menus and features on the electronic device. Its touchscreen also has a high sensitivity, enabling you to access any menu just with a gentle touch. This Double DIN head unit offered by Bose can play all sorts of media formats including .wma and mp3, as well as DVDs and CDs. For audio outputs, you may easily use your iPod or your smartphones to play music. In addition, you have the freedom to operate it from the steering wheel, if your vehicle allows it. When it comes to streaming music, you can use applications like Spotify and Pandora. You can also enjoy hands-free calls, thanks to the BV 9364B Audio Stereo. Lastly, it is equipped with a rearview camera to help you reverse easily, especially when you’re in a tight spot. What Are the Differences Between Double DIN and Single DIN Head Units? It would be essential to learn what the differences are between the single and double DIN head units. To make things easier, it’s all about the size. The single is the traditional size of a car radio and the double is just twice as large. The DIN, which stands for Deutsches Institut für Normung, is an international standard for head units originally introduced by the Germans in the 1980s. Modern vehicles either have a single or a double DIN slot, in which you can the difference just by looking at the head unit’s faceplate. While both single and double DIN head units are about 7 inches wide, their height is what makes the distinction. Single DIN head units are about 2 inches tall while double DIN head units are about 4 inches tall. With these measurements, you would notice that there is a lot more screen space to touch on double DIN head units because of the additional height. You can have a single DIN head unit installed on a double DIN slot but you are going to need a special installation kit to do this task, which in our honest opinion, is kind of inconvenient. You might be wondering which of the two is better in terms of size. As mentioned earlier, double DIN has the clear advantage just because of its size. Along with their bigger touchscreens, they also come with more powerful amps that are built into these head units. However, bigger is not always better, as the functionality will also greatly depend on the manufacturer. What Are the Benefits of Having an Upgraded Head Unit? With the modern ways of listening to music, turning the radio on would seem a little old school. It’s just that there are now more options in streaming media these days and getting a double DIN head unit for your car will allow you to access all these media. You would find every drive enjoyable, as you can connect your smartphones or iPod to the head unit via Bluetooth connection. A double DIN head unit is very easy to use and it would not cause too much distraction, especially when you are driving. With the innovative features such as hands-free operation and voice-activated controls, you will be able to interact with the head unit. You can also make phone calls, as well as set navigation routes while keeping your concentration on the road ahead. Getting the best double DIN head unit for your vehicle would mean that your favorite music will be in its superior sound quality, making them a lot more enjoyable to listen to. This is because double DIN head units have the capacity to fully utilize the hardware, software, as well as the necessary power outputs, to improve the music’s overall sound quality. What Are the Factors to Consider When Buying a Double DIN Head Unit? If you are considering to get a state of the art speaker system for your vehicle, you might want to pay close attention to the pre-amp outputs. If you are not yet familiar, it refers to the amount of signal that you will be receiving before the sound gets amplified. With this, there will be a boost in your overall listening experience due to these customizations. In addition, you may be able to hook up to 3 amplifiers to your Double DIN head unit, which will fully enable you to make sound adjustments as you please. Only strong double DIN head units can produce a sound that is so powerful. In fact, the more power these head units produce, the more the overall output will be enjoyable for your listening experience. To add, you might want to pay close attention to the RMS, as well as the peak of different head units when you are looking for a double DIN head unit. The head unit’s peak power is its ability to go up in just short bursts. However, if you want to maintain this type of system at a higher level, it can also burst the stereo’s speakers. If this seems like something you don’t want, you might want to consider going for an RMS, which can regulate energy of your stereo for a longer period. Compared to the entire vehicle, thieves find it very easy to target car stereos because they can conveniently sell it on the street. To make sure that nobody steals your car stereo after you pay for it, you need to install something that will protect it from thieves. Every time you leave your vehicle, you just need to take the face off your double DIN head unit. You may want to place it inside the glove compartment, under your seat, the trunk, or any place you think is safe. If you have done this very important step, it would be very unlikely that a thief would go through all the trouble to access your vehicle’s stereo unit. The double DIN head unit’s usability depends on how well it fits its intended purpose. Some car owners would want to use physical buttons when controlling the bass or the volume of the vehicle’s stereo unit. However, some also want to have everything remote controlled. With this, it will be solely up to your preferences to select the Double DIN Head Unit for your car stereo system. A high-quality Double DIN head unit should have the ability to connect to several electronic devices, as we are now moving on from the traditional ways of playing music such as using CDs. Nowadays, almost everything can be controlled through the help of the internet or Bluetooth connectivity. 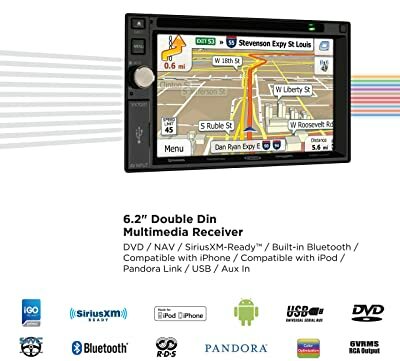 An ideal Double DIN head unit has the capability of connecting to both Android and iOS devices. It should have different features, as well as quick command buttons that work on specific operating systems. Most importantly, you should choose a double DIN head unit that is compatible with your vehicle. As discussed in the earlier section, double DIN head units naturally have a bigger screen than single DIN head units. With this, you are assured that it can enable you to clearly see who is calling you, as well as the type of music you are currently listening to. To add, it is a relief that some of the double DIN head unit displays can be adjusted. Some double DIN head units allow you to change its color theme. There are also models that can change colors along with the beat, which would certainly enhance your driving experience. You should also consider choosing one that has the right brightness for nighttime and daytime driving. After all, it can be quite inconvenient if the display is dim on sunny days. The latest Double DIN head unit has the app control, which allows its users to control the head unit using their phones, and vice versa. Therefore, you will not be needing to look at your phone while driving. It is a very useful and convenient feature that not only lets you access your contacts but also promotes safe driving, as well. Before you go and buy a double DIN head unit, make sure that it is very easy to install. It is a relief that many manufacturers are considerate about making their products easy to install. 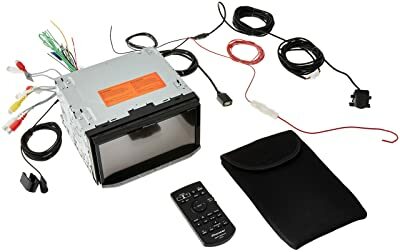 When choosing a double DIN head unit, get one that comes with a harness that effectively separates the wires from each other; thus, making them a lot easier to connect to your car’s stereo system. You might also want to consider buying a model that comes with an easy-to-follow instructions manual. If you are not confident, you can check tutorial videos online. A great double DIN head unit is easy to operate. Don’t get tempted to buy a fancy model but would take you so much time to learn operating it. Some models are equipped with an intuitive menu that allows you to easily select your favorite songs. There are also models that automatically detects the devices they were paired with in the past. With so many brands to choose from, how do you know which one to buy? With this detailed guide, we hope that you can at least narrow down your choices into choosing the best Double DIN head unit. We have provided you a rundown of our top 6 picks, as well as the essential factors that need to be considered, which will be of great help in making your decision-making a lot easier.